White Mountain Biodiesel, LLC is capable of producing 5+ million gallons per year of ASTM D6751 (quality biodiesel). Biodiesel made from various feedstocks has different characteristics. If you have special requirements we can supply you with technical analysis of our current product. We generally sell our biodiesel in the form of B100 (one hundred percent biodiesel) or B99 (99 percent biodiesel) however, if you need it blended we can arrange to supply you with B5, B10, or B20. Prices for biodiesel fluctuate with the oil market and feedstock costs, but if you contact us we can give you the latest prices for any product you need. 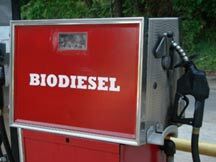 If transportation is an issue we can also arrange to ship biodiesel to you at any location. 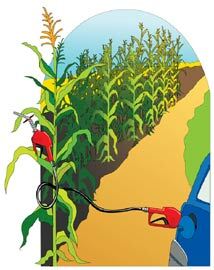 We are rountinely asked "Where can I buy Biodiesel?" The following retailers have locations where they sell biodiesel products. Biodiesel is a win-win-win, for the consumer, for the environment and for our country.